A few weeks ago, southeast Michigan leaders seemed ready to announce their support of a tax plan to improve regional transportation. Now, talks between leaders of Detroit, Oakland, Wayne, Macomb and Washtenaw counties are so fragile that some public officials and transit advocates are publicly discussing narrowing the tax to fund light rail and improved buses to only Wayne and Washtenaw counties. Guest commentary: Get real. Detroit wasn’t ready for Amazon. So don’t blame transit. The scenario would be a huge blow to advocates who have lobbied for mass transit for 50 years. But the thinking is some light rail and bus improvements would be better than none, and Oakland and Macomb could eventually come on board. 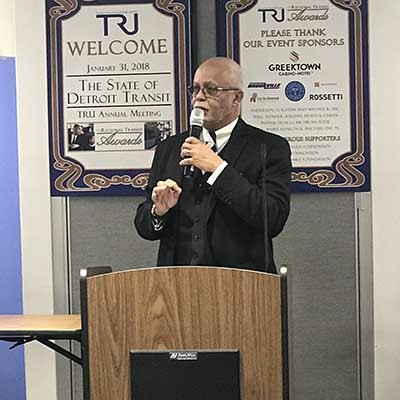 Last week, during a transportation advocacy group’s meeting in Detroit, Wayne County Executive Warren Evans acknowledged officials have discussed limiting a tax request from the Regional Transportation Authority of Southeast Michigan to the two counties. But Evans said he still hopes Oakland and Macomb leaders will endorse a four-county tax, and bring it to voters this fall. “I’m optimistic. Am I going to bet my life’s savings? Probably not,” Evans said. Chair of the Washtenaw County Board of Commissioners Andy LaBarre, who didn’t attend the meeting, told Bridge Magazine he’s keeping all options open. The talks come more than 15 months after southeast Michigan voters rejected a $3 billion, 20-year tax for buses and trains. The 1.2 mill tax ballot measure lost by about 1 percentage point, fueled by opposition from voters in Macomb and Oakland counties. Southeast Michigan is the largest metropolis in the United States without rapid regional transit. Business leaders have suggested that is one reason why Detroit didn’t make the cut in retail giant Amazon’s search for a second national headquarters. “When (the ballot proposal) lost before …. we didn’t have the enthusiastic support of all the leaders,” Evans said. Public enthusiasm has dampened significantly in recent weeks from suburban elected officials. In a meeting in forum in late January at the Detroit Economic Club, Oakland County Executive L. Brooks Patterson said “we don’t have a plan,” and joked about a long-discontinued light rail in Pontiac. Oakland County spokesman Bill Mullen told Bridge the county expects to continue RTA negotiations for another 45 days. But Macomb County officials are taking a “step back” and considering long-term financial impact of a regional transit plan, John Paul Rea, the county’s director of planning and economic development, told Bridge. The county’s immediate needs are roads, Rea said. In the past few weeks, Sterling Heights released a five-year plan that needs $77 million in road funding while Clinton Township expects to ask voters for a 1.9 mill tax for roads in August, he said. “Transit is an imperative building block of this region, but when we are faced with the realities of funding and long-term viability, we need to figure out how we can use resources in the best and most impactful way,” Rea said. Paul Hillegonds, chairman of the RTA board, said a transit plan that does not include Macomb and Oakland, but only builds light rail and new bus rapid transit routes only in Wayne and Washtenaw would be expensive for residents in those two counties. “Whether that can work is still a huge question mark,” he said. As the negotiations drag on, time is running out to get a tax measure onto the ballot this year. The RTA board, comprised of appointees from the four counties, and advocates have said that the leadership needs to make a decision soon to support for a transit millage for November’s ballot so that a public campaign to educate voters can start as soon as possible. Further complicating matters is that a request to renew taxes for suburban bus service also is on the ballot in August. The 1-mill tax from the Suburban Mobility Authority for Regional Transportation, known as SMART, would cost owners of homes assessed at $100,000 in Wayne, Oakland and Macomb counties $100 per year and raise $70 million per year for four years for the bus system. So, if the regional leaders decide to support a regional transit ballot measure, not only would the RTA have to educate voters about the benefits and costs of a regional transit millage, but also educate voters on how it would differ from the SMART tax renewal. Paul Hillegonds, chairman of the Regional Transportation Authority of Southeast Michigan, said time is running out to get a four-county tax request on the November ballot for transit improvements – but he warns that it would be expensive for Wayne and Washtenaw to go it alone. Every day of negotiations that passes without a decision from the regional leaders takes away time that RTA needs to raise money for a campaign for the potential ballot measure. Consultants said as much as $6 million may be needed to educate voters, Hillegonds said. In January, Bridge reported that leaders in the four counties and Detroit had indicated they would support the four-county RTA tax if the governance structure of the RTA changed. That is likely off the table now, Hillegonds said, because it would require a change in state law, which could take too long and keep the millage request from making it onto the November ballot. Guest opinion: Get real. Detroit wasn’t ready for Amazon. So don’t blame transit. Savannah Robbins, 24, of Detroit, has lived in the city’s New Center neighborhood for seven years without a car. She said if the regional leaders do not support new mass transit, that should not be the end of the discussion because residents need more options. 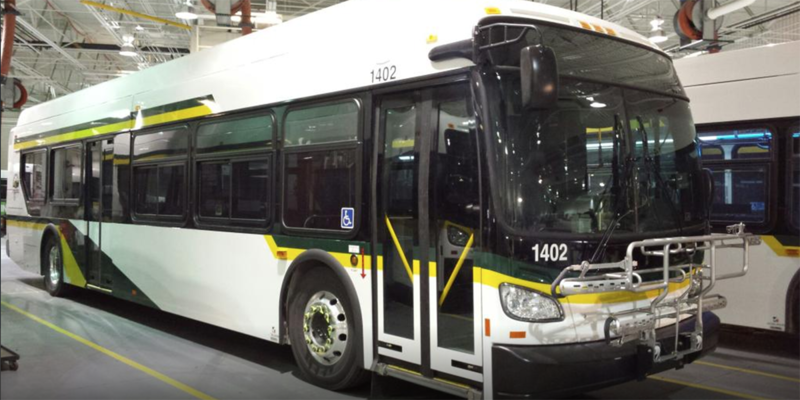 The city and county should invest more in connecting and improving SMART and the Detroit Department of Transportation buses, she said. “Plan B can be to keep building up SMART and DDOT. We have those those, they can’t that away,” Robbins said. 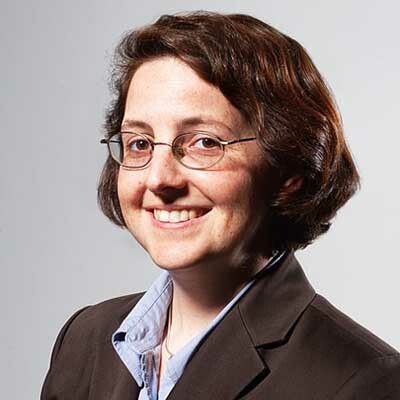 Megan Owens, executive director for Transportation Riders United advocacy group, said a tax that includes only Wayne and Washtenaw could be viable. Among other things, it could add a commuter train connecting Ann Arbor and Ypsilanti to Dearborn and Detroit and add bus rapid transit to get workers to jobs in communities that opted out of the suburban bus system, such as Livonia and Canton Township. Detroit may be the only metro area without mass transit, but it is also the only metro area that has a unique transportation pattern. Detroit (the hub of the wheel) has a population under 700,000. The suburbs (the rim of the wheel) has a population approaching 3,000,000. The real need is not the envisioned system where traffic runs along the spokes of a wheel to and from the hub to the rim, but rather, one where the majority of traffic flows along the rim of the wheel and a smaller portion flows along the spokes. Plus it has been a very fluid pattern, with all the growth occurring in the suburbs, and decline in the city at the center. The fluidity leads to a conclusion that having the ability to change the routes is required, and bus and not rail fills this need better. Whatever happened to the plan to use larger articulating busses? I would love to see high-speed trains between Detroit and Chicago, and high-speed trains north to Grand Rapids and on to Traverse City. The traffic in and around Detroit is awful and could be improved upon with better public transportation. Impractical and costly. There simply aren't enough riders of for Amtrak to justify such a corridor. While the traffic on Detroit isn't great, it's light years better than other major cities, with considerably larger amounts of traffic. The current infrastructure that exists must be repaired first. "Washtenaw County Board of Canvassers Chairman Andy LeBarre" is incorrect. 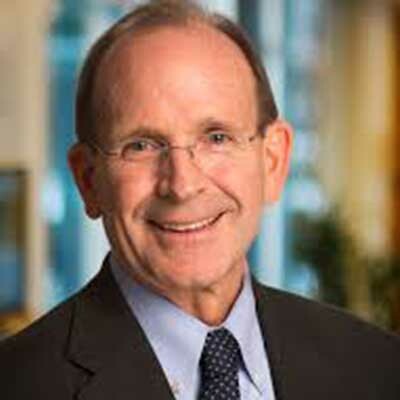 He is chairman of the Washtenaw County Board of Commissioners. It's baffling to me that Oakland and Macomb counties continue to treat mass transit like a crazy idea that could never work. Have they never been to a city? A four plan would be idea but let's not wait. It's time to start improving transit. A two county system would be a good start. Even better if it allowed bordering cities like ferndale, warren, & possibly royal oak to opt in. But let's not wait. It's our move. Let's get started. The article includes the comment by Chair Hillegonds that a change in state law would be necessary and probably not feasible now, if a different territory were attempted by the RTA. Actually, I don't think that Washtenaw and Wayne could do this alone, because Washtenaw has a very small tax base compared to the other participants in the original. There wouldn't be enough cash and Wayne would essentially be doing much on its own. Further, without good transit into the two important job locations, much of the benefit to Detroit residents would be lost. "Paul Hillegonds, chairman of the RTA board, said a transit plan that does not include Macomb and Oakland, but only builds light rail and new bus rapid transit routes only in Wayne and Washtenaw would be expensive for residents in those two counties. “Whether that can work is still a huge question mark,” he said." This goes without saying, but it sounds to me like a failed business model from the get-go, no matter how many counties are made to pay. Then again, if there were any real demand for their little hobby, then Mr. Hillegonds and Co. wouldn't need to resort to a millage in the first place. SMART, People Mover, DDOT, Q-Line, Amtrak, etc would be bursting at the seams with riders and they would then have all of the capitol they could ever dream of, to do with as they please. You should add GRATA and the Silver Line to your list of failed mass transit systems! Social planner types never saw one they didn't love and cost per passenger mile never is considered, let alone private solutions! But good luck getting the truth out of them! During the Obama Administration they give Michigan almost 400 million for Transportation. There was also an article about how Michigan was storing Trains and paying a great deal to store the trains, there was no other report or follow up. Why ? Can U follow- up what happen to this money.